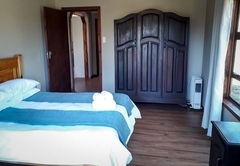 Greystone Lodge is a highly recommended B&B with self catering option, providing accommodation in Belfast for tourists visiting the Highlands Meander region. 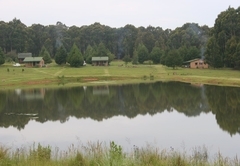 Greystone Lodge offers AA Travel Recommended accommodation and facilities on a private nature reserve in the Mpumalanga Highlands. 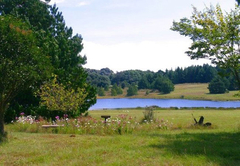 Situated just off the N4 between Belfast, Machadodorp and Dullstroom and within easy reach of the Blyde River Canyon, Pilgrim's Rest and Kruger Park, it is an ideal base for touring and a perfect location for a quiet break from the city. 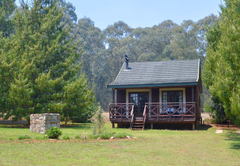 The accommodation at Greystone Lodge consists of one, two and three-bedroom self-contained chalets. 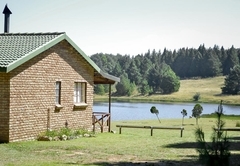 All have extensive views over the property and Dam, are fully equipped for self-catering and are complete with bedding and towels. 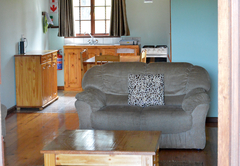 Each of the chalets has a fully-equipped kitchen / lounge / dining room, with a real log fire and quality furnishings. 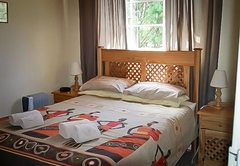 Bedrooms are all furnished to an equally high standard and are complete with bed linens and towels. 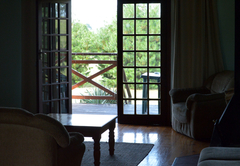 An electronic safe is installed in each chalet for your valuables. 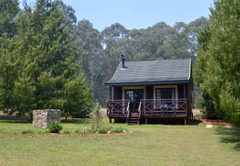 Each chalet has its own gardens, deck and outdoor braai, for which firewood is provided free. 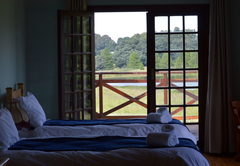 All accommodation is serviced daily. 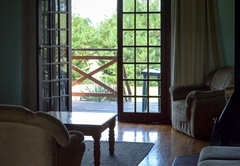 Main lodge apartments have a private balcony and gas fireplace, a large lounge with TV and a separate, fully-equipped kitchen. 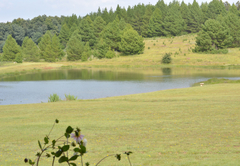 All accommodation has extensive views over the property and Dam. 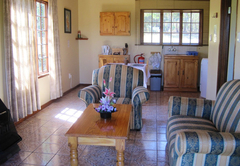 The chalets are available on a Self-Catering or Bed & Breakfast basis. Guests wishing to take all meals at the Lodge may do so, but prior bookings for evening meals (other than bar food), are essential. 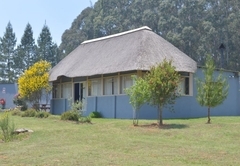 The Main Lodge building and attached function rooms offer a Bar, Restaurant, Private Function / Conference Room, Indoor Braai and Lapa, all of which are available to guests. • Pets are welcome by prior arrangement only. 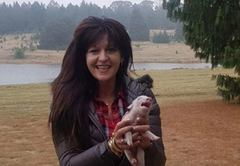 Each dog will cost R100.00 per day. Please bring your dogs own bedding & food bowls. 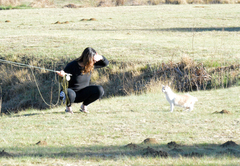 • Bring your dog’s leash, you are welcome to walk them off-leash when away from the chalets but keep the leash with you just in case. • Strictly no dogs permitted on the furniture (should your pet sleep with you on be inclined to jump on furniture we request that you bring your own covers). 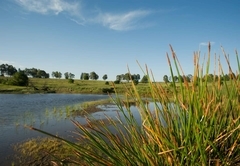 If you have forgotten your covers, we have a few we can supply you with. 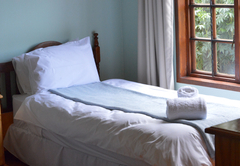 • Any soiled bedding (except supplied dog covers) will be charged at R150 per item (over and above the R100 cost/dog/day). • We rely on our guests to keep their pets off of the furniture in consideration of other guests and to prevent the unnecessary wear and tear on the furniture. 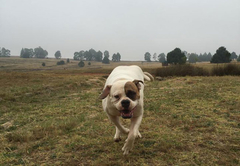 • Please remember that your dog may get very dirty whilst racing around and playing in the dam. Please bring an old towel to clean him / her off with, please don’t use our nice white towels for this purpose as soiled towels will be charged for at R100 per towel over and above the R100 cost / dog / day. Costs for furniture / bedding unnecessarily dirtied or damaged by pets will be charged for. 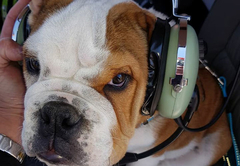 • Greystone Lodge takes no responsibility for any dog not belonging to the owners of the Estate, please ensure that your dog is with you at all times. 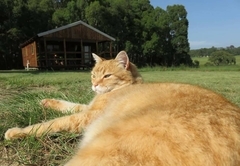 Pets may not be left unattended in the units as they cause noise disturbance to guests in the surrounding chalets. 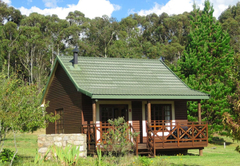 The only chalet we permit pets to be left unattended is Chalet 9, our 3 bedroom chalet as it is some distance from the other units. 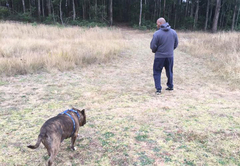 • You bring your dogs at your own risk, Greystone Lodge (and anyone associated with Greystone Lodge) are not responsible for any parasites or illnesses your dogs may pick up, any injuries they may get while on our property. 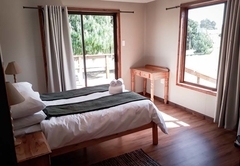 The ne-bedroom timber-built chalets are designed for two persons and consist of an open-plan lounge / kitchen with a log fireplace, furnished to a high standard. 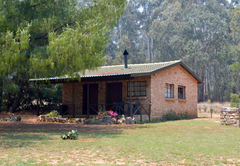 The double bedroom has an en-suite shower and there are a table and chairs on the deck outside overlooking a small garden, braai area and private parking.The private chalets are individually furnished, have a real log fire with unlimited free firewood for the cool highlands evenings, private gardens with outdoor braai and private parking. 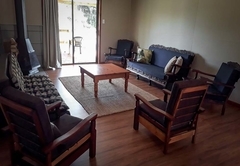 Chalets 3 to 7, our two-bedroom chalets, designed for four persons, are brick-built and consist of an open-plan lounge / kitchen furnished to a high standard. 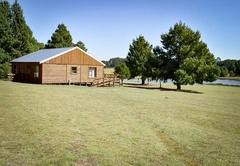 The master bedroom is a double and the second has twin beds offering flexibility for small groups or families. 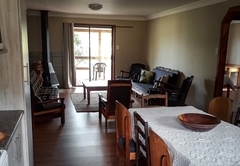 A table and chairs on the verandah outside the chalet overlook a small garden, braai area and private parking, with views across the property. 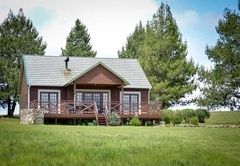 Chalet 8, the three-bedroom chalet is designed for six persons and consists of two double bedrooms and a third with twin beds. 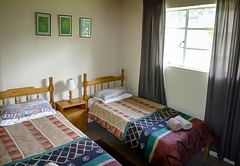 The larger of the double bedrooms has an en-suite bath and shower, whilst the other bedrooms share a second shower. 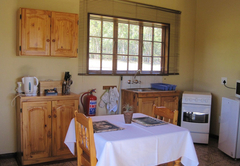 The open-plan lounge / dining area / kitchen is particularly spacious and again furnished to a very high standard. Tables and chairs are set on the deck which runs the whole width of the front of the chalet to give plenty of space for entertaining. 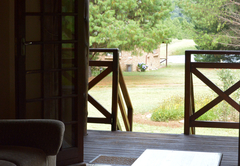 The deck offers open views across the dam, with a private braai area immediately in front. 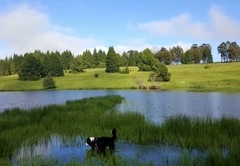 Amazing location, fantastic value for money and appreciated the freedom to take our dogs. Thanks for a wonderful stay! 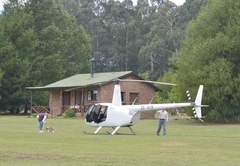 Awesome weekend in a very relaxed, friendly and obviously well cared for environment. 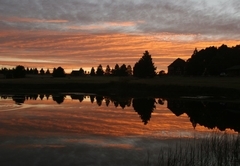 We made wonderful memories here at Greystone. 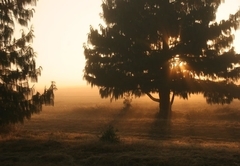 For that we are most grateful.